As long as you're using the Airtel 4G sim, Surely you will have the gray opportunity to get Double data on any data plan bundle you bought from Airtel store on your line in December. This offer is available for both new and old Airtel 4G users. If you are using a 4G sim on your phone and you're wondering your phone is not 4G but can you enjoy this offer. Why not? If you're not using a 4G phone you have the same opportunity those 4G phone users have. Because it's not compulsory. 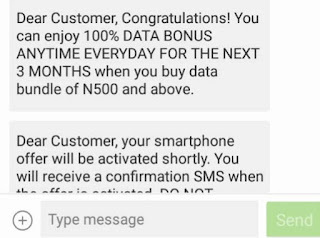 All you need is just to purchase data from N500 and above to enjoy the offer. How Can I enjoy the Airtel double data on my device? Get an Airtel 4G Sim registered and insert it to your smartphone. 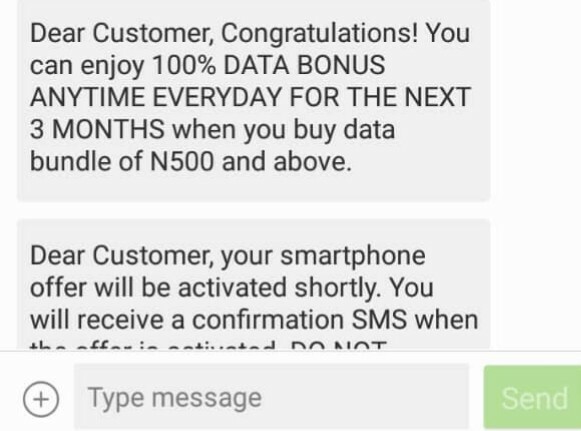 After inserting, Recharge your line and dial *141# to purchase data above N500 from Airtel store.